Is it time for a new voice in the 2018 Red Sox clubhouse? 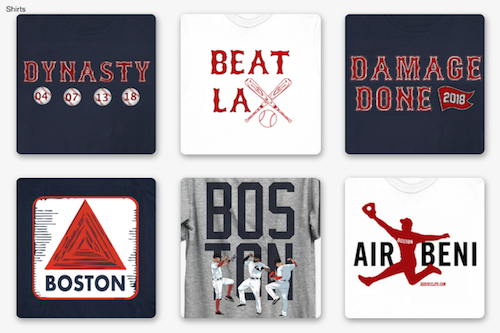 For the second straight season, the Red Sox have officially been eliminated in the ALDS. An exciting Game 4 ended in a 5-4 Astros victory at Fenway Park, ending a year that started with championship aspirations. Now with a long offseason ahead of them, the biggest question revolves around manager John Farrell. Since arriving in 2013, Farrell has lead the team to a World Series title, three first place finishes in the AL East and two last place finishes. He is the only Red Sox manager to win consecutive division titles. As Farrell is entering the last season of his deal, Dave Dombrowski will have to ultimately have to decide if a new voice at the helm could be a piece of the puzzle to get this team over the hump. "I think [Farrell] has done a great job," Dombrowski said before the playoffs began. "He's a tough guy. 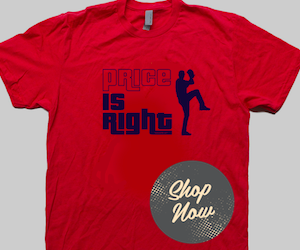 He's a smart baseball man." After the Game 4 loss to Houston, which Farrell was ejected in, he did not want to take about his future with the club, but did mention he was "confident" that he is the right man. "We just walked off the field 10 minutes ago," Farrell said. "I know that we have got an opportunity to assess where we are as a team. I can't begin to talk about what the offseason plans are and what changes may be realized. But there's still a lot of good things that are going on here." 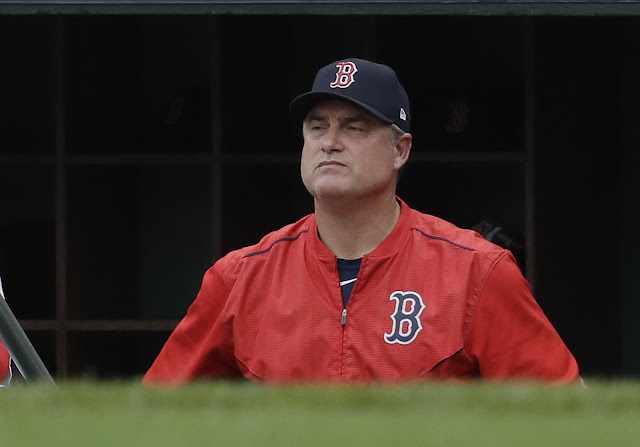 Throughout this season, Farrell has been criticized of his poor in game management, along with questions about his hold on the clubhouse. The Pedroia incident earlier this year in Baltimore did not have a good look on Farrell, along with him not apologizing to Dennis Eckersley after the David Price debacle. From his own players however, several spoke highly of the manager but none argued that he should return for another go around. "He's done a great job," right fielder Mookie Betts said. "I know no [Red Sox] manager has won back-to-back [division] titles, so it shows he's done a great job in managing personalities and put us in a position to win. He listens to us and he talks with us. [It's] one of those dynamics that he fits well." Lefty ace Chris Sale: "There's a lot of room for debate and would'ves and should'ves. He gave me every opportunity to succeed. I can say the same for everybody on this team." And closer Craig Kimbrel: "He was there for us. He watches us all year long. He knows each and every guy in here. He knows what we're made of. For him to go out every night and put it together and try to put the best team on the field, I think he did a great job." Pedroia was also asked about Farrell's status and was non committal like the rest of his teammates. If Dombrowksi does decide to move on from Farrell, it would be the first manager he signed by himself in Boston. He inherited Farrell when he joined Boston in 2015, and has only signed two managers over his last 12 seasons. Many thought Dombrowski could bring back Jim Leyland, who he worked with in Detroit. Leyland has been firm that he will not come out of retirement however. The Red Sox could look across the diamond at the Houston Astros. The Astros bench coach (and former Red Sox) Alex Cora is a popular name among soon to be managers. Boston could also stay within the organization at former catcher Jason Varitek. Varitek currently works as an advisor for the team, but his name has been brought up in management rumors for several years now. The decision on Farrell could come quick, as Dombrowksi announced the day after the Red Sox were eliminated in the ALDS last year that Farrell would return.